A short sale is a strategy for selling your home when your mortgage balance is more than your home is worth. A dramatic and prolonged drop in property values, rampant unemployment, and other financial problems have many Americans at their breaking point. 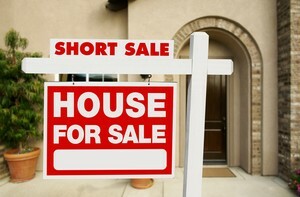 If this describes you, a short sale may be the answer to your problems. A short sale is nothing more than a lender agreeing to allow the sale of a home for less than the current mortgage balance. This method of selling a home isn’t good for everyone, but depending upon your specific situation, it could help you to sell your home and free you of the stress of going through the foreclosure process. A successful short sale transaction requires a number of conditions to be met. If you meet the following conditions, a short sale might be a good solution for you. A major factor to consider when thinking of foreclosure avoidance with a short sale is the the qualifications of the real estate professional with whom you choose to work. All real estate professionals are not created equal. Because a short sale transaction involves multiple communications with your lender in order to complete the short sale process, it’s imperative that your real estate professional be trustworthy, experienced in short sales, and willing to keep you informed with regular updates. Deciding whether or not a short sale is the best foreclosure alternative for you and your family is a big decision – with major implications for your future. Only you can decide which foreclosure avoidance strategy is best for you. Armed with the right tools you can make the right decision.